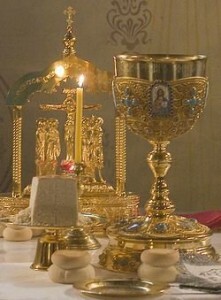 There Biblical references for everything that is said during the Divine Liturgy. Below is the text of the Divine Liturgy of Saint John Chrysostom. Under each line, you will see “Bible References:” along with the Book, Chapter and Verse(s). 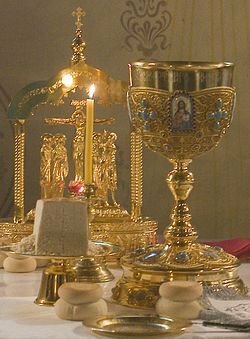 While many have studied why we say and do the Divine Liturgy as it relates to the Bible, we would like to acknowledge in particular the work done by V. Rev. Fr. Constantine Nasr of the Antiochian Orthodox Christian Archdiocese. The title of his book is called “The Bible In The Liturgy”, and it was published by Theosis Publishing Company. His work is thus far the easiest and most comprehensive we’ve found on this topic when researching how the Divine Liturgy relates to the Bible.